Visible from the cupola is a southerly vista of extraordinary beauty. Fist the little Gothis lancets on the roof of the Bodleian; then the large rounded mass of the dome on the Radcliffe Camera, which convinces the eye at once that every city should have a dome; then the airy Gothic spire of the university church, St. Mary the Virgin, the square tower of Merton. And Tom Tower off to one side and beyond it all in every direction soft and gently rising vistas of green hills. This view of Oxford, seen from the cupola of the Sheldonian Theatre, is at that moment being taken in by by Harriet Vane and her son Paul. Harriet Vane, that is, aka the Duchess of Denver. 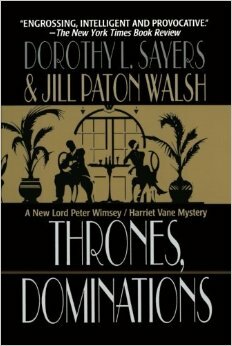 Paul is one of two sons she has had with her husband Lord Peter Wimsey. 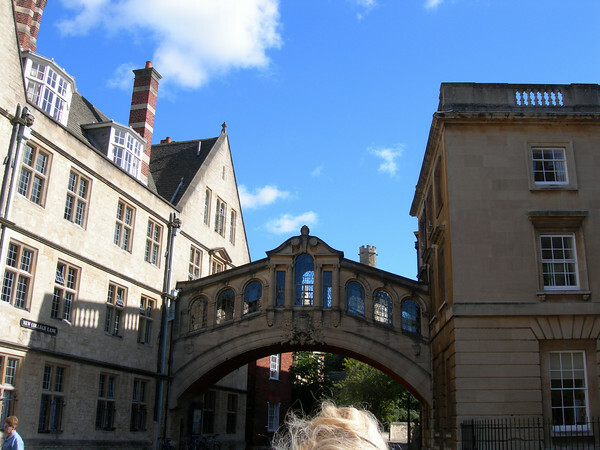 Peter has been called to St. Severin’s, a (fictional) college at Oxford, to mediate a dispute that has arisen among the fellows of the college. When he arrives upon the scene. one of his earliest discoveries is that the Warden of the college has gone missing. In fact, he has been missing for weeks, and there’s been almost no action taken to ascertain his whereabouts. Ergo, there’s already a mystery brewing. The fellows themselves are evasive; the signs are troubling. In classic detective fiction fashion, things get far more dire before any kind of resolution presents itself. Peter was far from immune to this bitterly intense nostalgia; he too had lain in a punt with his friends on more than one dewy morning, and heard the song, and adjourned to eat breakfast cooked on a campfire in the meadow below the bridge. Thinking of punts he remembered sleeping in one, overcome with weariness, while Harriet watched him, and when he awoke something unspoken and irrevocable had happened between them. The flat setting and fine scroll-work of the ear, and the height of the skull above it. The glitter of the close-cropped hair where the neck-muscles lifted to meet the head. A minute sickle-shaped scar on the left temple. The faint laughter-lines at the corner of the eye and the droop of the lid at its outer end. The gleam of gold down on the cheekbone. The wide spring of the nostril…. Finally, there is the novel’s wonderful sense of place – and what a place! 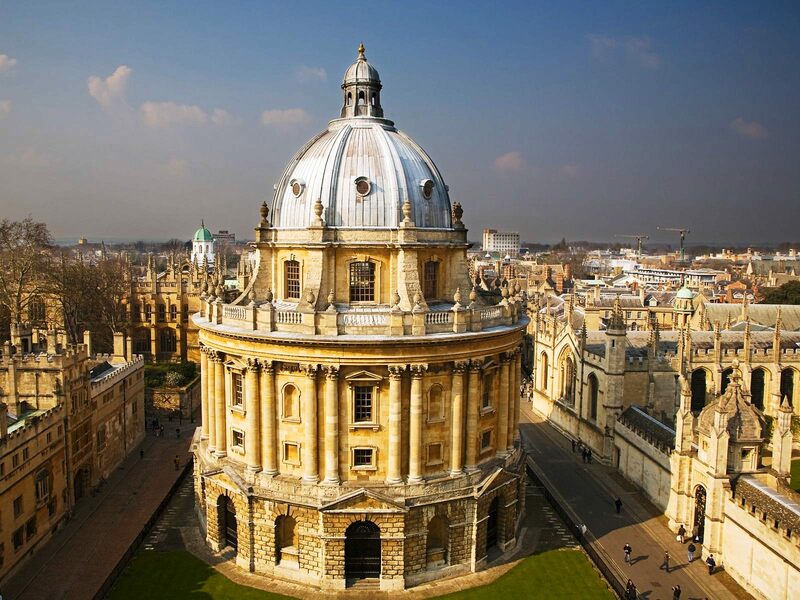 Oxford, “city of dreaming spires,” so called by the poet Matthew Arnold. 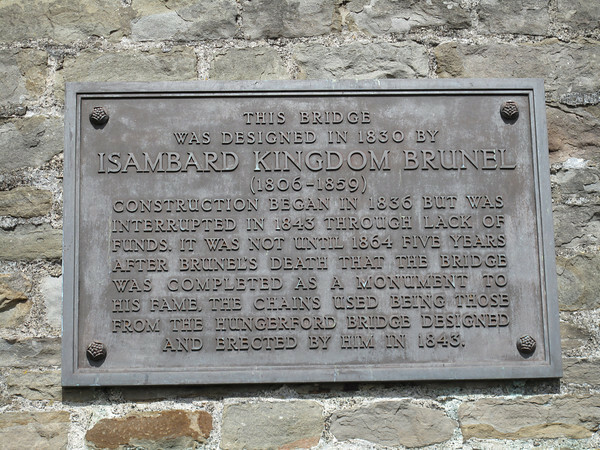 I have only been there once – in 2006 – but I long to return…. 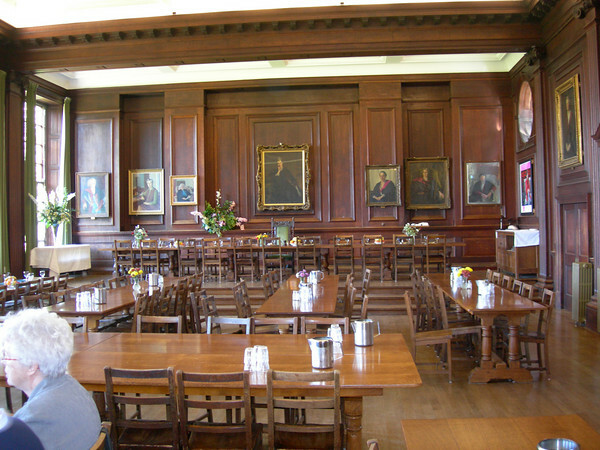 The Dining Hall at Oxford’s Somerville College. 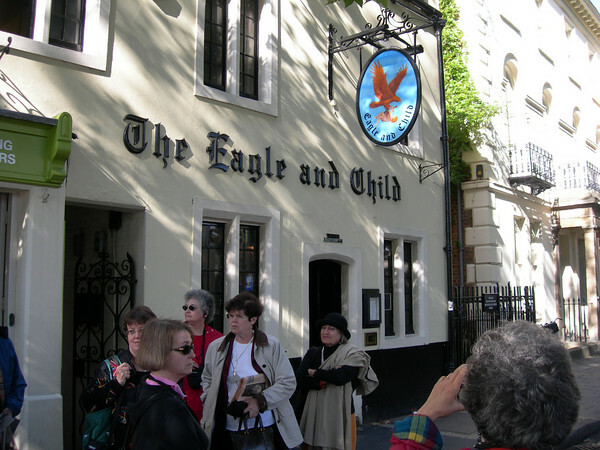 Our tour group had the honor of lunching there. 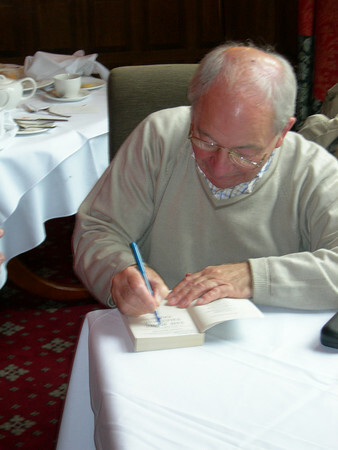 Meeting Colin Dexter, creator of Inspector Morse, was a highlight of the tour. They can’t take this away, at any rate. Whatever I may have done since, this remains. Scholar; Master of Arts; Domina; Senior Member of this University (statutem est quod Juniores Senioribus debitam et congruam reverentiam tum in privato tum in publico exhibeant); a place achieved, inalienable, worthy of reverence. Of these, I’ve only read the first and the most recent. 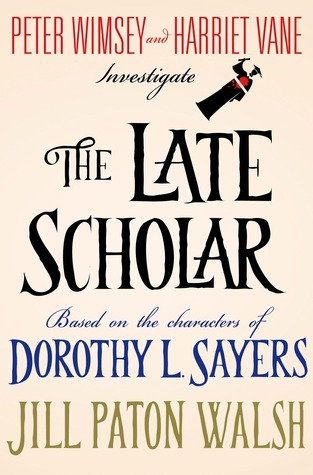 You can probably gather from what I’ve written that I thoroughly enjoyed The Late Scholar, and I recommend it, especially to those who, like me, relish crime fiction that hearkens back to a more genteel era. 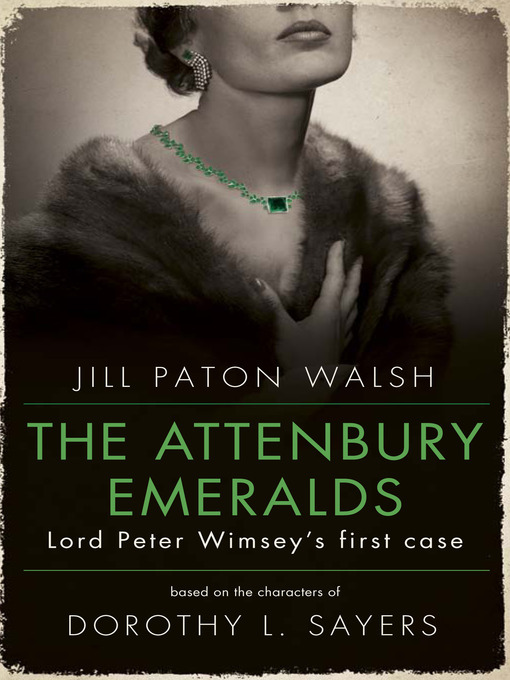 I seem to recall Jill Paton Walsh stating that after reading Gaudy Night, she was fired with a desire to attend one of the Oxford Colleges. (She graduated with honors from St. Anne’s College in 1959.) 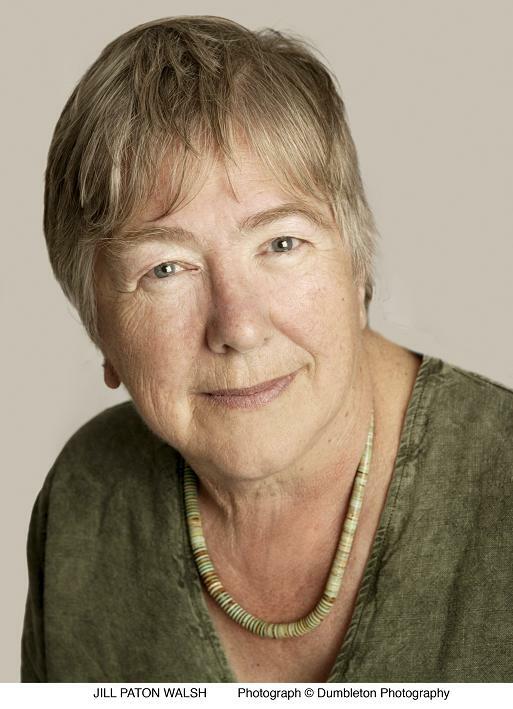 She’s also the author of mysteries featuring Imogen Quy, a nurse at St. Agatha’s College, Cambridge. There are only four entries in this series, the last, The Bad Quarto, having been published here in 2007. I wish she’d write more; I really enjoyed them. I had almost decided not to write about this book at all. 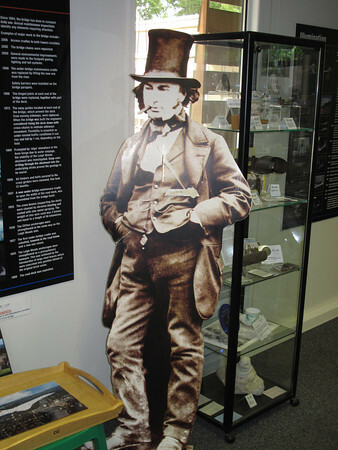 But it is due to be returned to the library – overdue, in fact – and has at present a whopping 155 reserves on it. And so, here goes…. Having very much enjoyed Waters’s The Little Stranger, I was looking forward to this, her latest work. You probably know what’s coming, and yes, I was to a fair degree frustrated with this novel. Clocking in at 564 pages, it was too long. Now for me, that is not a hard and fast rule. Wolf Hall was almost exactly the same length, and I’d hoped it would never end. The Paying Guests begins with a description of the lives of Frances Wray and her mother. They are living in extremely straitened circumstances. The year is 1923 and Britain is still reeling from the terrible losses sustained in the First World War. The Wrays themselves sacrificed two young men, brothers and sons, to that conflict. She worked briskly and efficiently, taking her brush and pan from the drawing room to the top of the stairs and making her way back down, a step at a time; after that she filled a bucket with water, fetched her kneeling mat, and began to wash the hall floor. Vinegar was all she used. Soap left streaks on the black tiles. The first, wet rub was important for loosening the dirt, but it was the second bit that really counted, passing the wrung cloth over the floor in one supple, unbroken movement…There! How pleasing each glossy tiles was. The gloss would fade in about five minutes as the surface dried; but everything faded. The vital thing was to make the most of the moments of brightness. There was no point in dwelling on the scuffs. 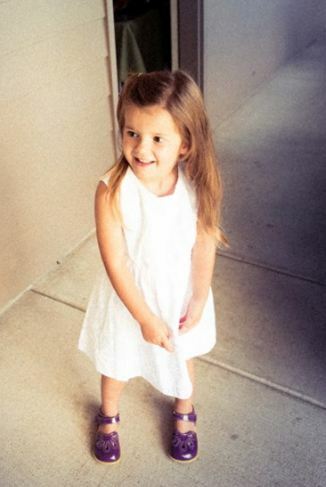 And so it goes, day after day, until Frances and her mother decide to take in boarders. They could use the money. And so, enter Leonard and Lilian Barber, a young couple in need of affordable lodgings. They are the eponymous Paying Guests. At first, the arrangement seems suitable for all. But in actuality, the appearance of the Barbers on the scene presages a whole host of problems – problems that culminate in catastrophe. 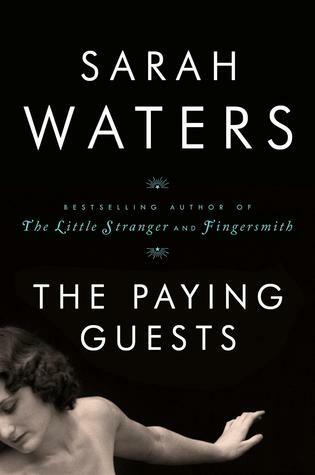 In the main, The Paying Guests is a passionate love story, and one of my chief problems with the narrative was that the raptures of the lovers were dwelt upon at such length that I wanted to cry out, “Okay! I get it! They’re crazy about each other!” I don’t want to say any more for fear of giving away too much. I readily concede that Sarah Waters is an excellent writer; she vividly evokes the privations and losses suffered by many of the English in the wake of the Great War.. It’s just that in my view, some judicious editing would have done this novel a world of good. 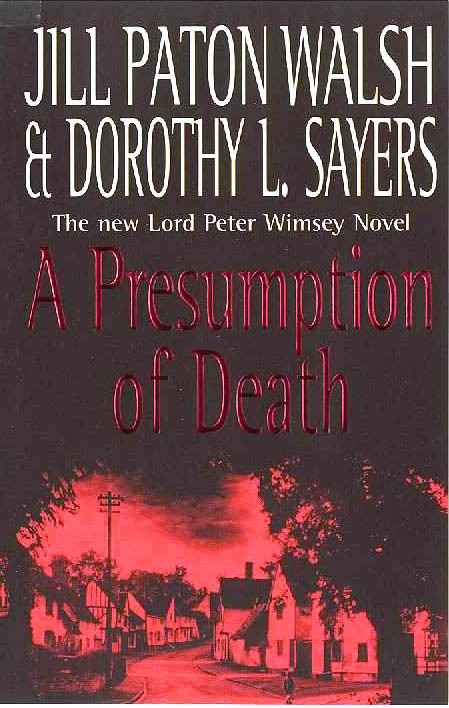 I finished this a while ago, but the pleasure of Peter Lovesey’s ingenious plotting and witty dialog has stayed with me. As is frequently the case with books in this series, the opening scene delivers a palpable shock, with sudden violence erupting in an ultra civilized venue. 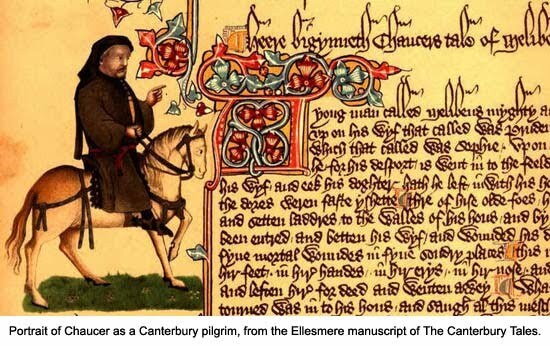 The novel is enriched with the lore and legend of Geoffrey Chaucer. The eponymous stone wife is, in fact, a sculpted figure purportedly of the Wife of Bath, one of the more memorable, one could say more colorful, of the pilgrims who inhabit The Canterbury Tales. As Peter Diamond’s investigation progresses, one of the more important witnesses to emerge is the murder victim’s ex-wife. She proves to be a multiply married woman who, as she approaches late middle age, is yet possessed of a healthy libido. She is, in other words, something of a modern day Wife of Bath. For me, one of the special pleasures of this book was the fact that although most of it takes place in Bath, excursions are made to Bristol. 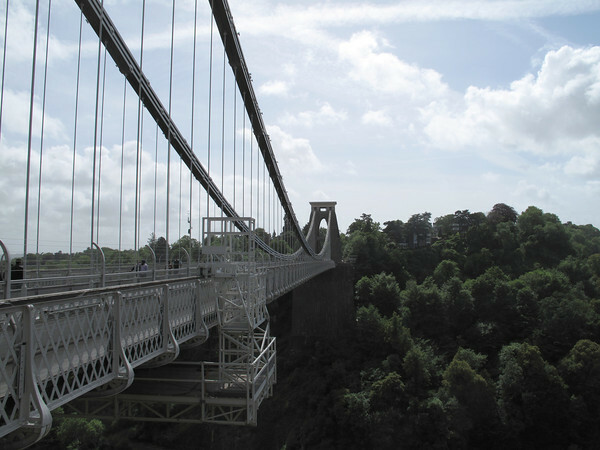 At least one scene takes place at he Clifton Suspension Bridge. 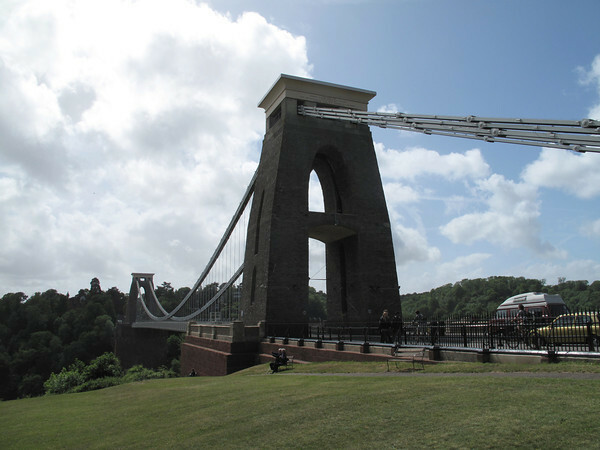 I was privileged to see this engineering marvel for myself in 2011. The day was windy, so I declined the guide’s invitation to walk across, but my game husband and several others in our group made the trek. With every new entry, this series just gets better and better. Skeleton Hill, Stagestruck, Cop To Corpse, The Tooth Tattoo – all were excellent. 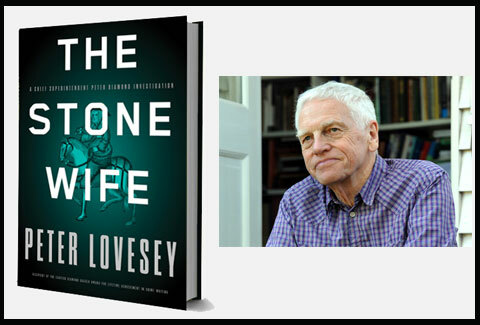 With The Stone Wife, Peter Lovesey has once again surpassed himself. As if you hadn’t guessed by now – highly recommended! Etta Lin, greatly loved by many!